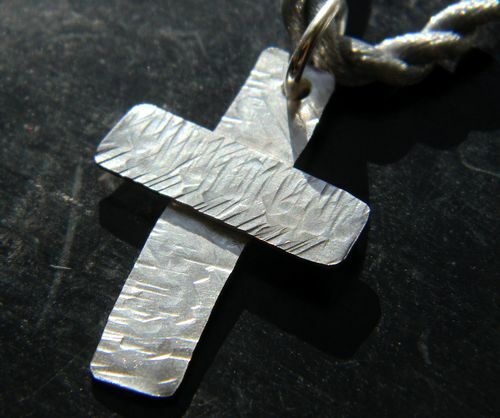 Still, a maker of pendants does not have to use two different materials in order to impose one cross’ form on another. An artisan working with a single metal can accomplish that task. He or she might have thick curved metal form an outline for a piece that has thin, perpendicular elements, elements of the same material. Alternatively, he or she might have thick parallel bars cross each other, thus framing a center piece, one which is a thin cross. 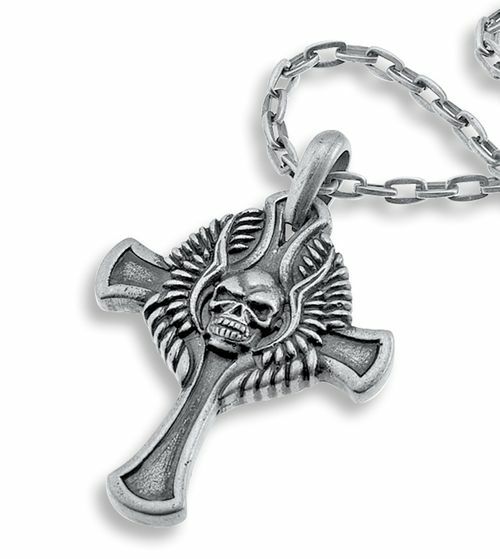 Sometimes, a cross-shaped pendant has a dagger like ending. That is the rather fearsome Crusaders tattoo cross. The fearsome nature of that item has been copied in the Amile and Aariel crosses. 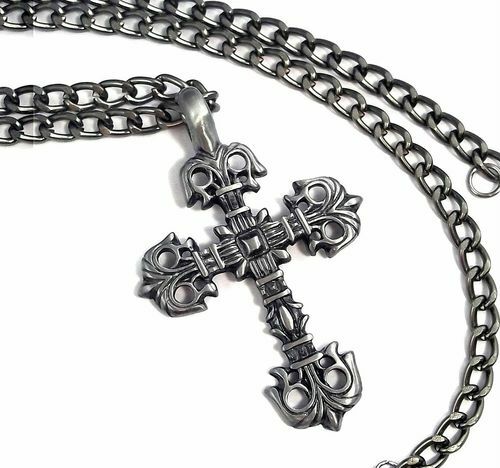 While the Crusaders’ pendant was fashioned from silver, that is not the only metal used in each of the many men’s cross necklaces. Sometimes a pair of hands that has devoted many years to working with gold makes the perpendicular bars that will go on a chain or strap. Sometimes a pendant is made out of brass and gunmetal. 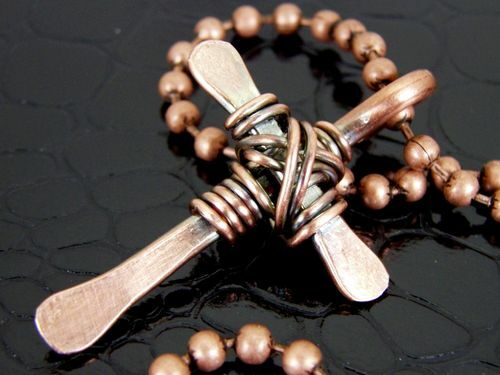 That combination can be found in the piece named the Thunder Celtic cross. Sometimes those who offer a Celtic cross as a gift take the time to have it personalized. Today anyone can do that rather easily. The gift giver can simply sit at a computer and clicking onto the web site. 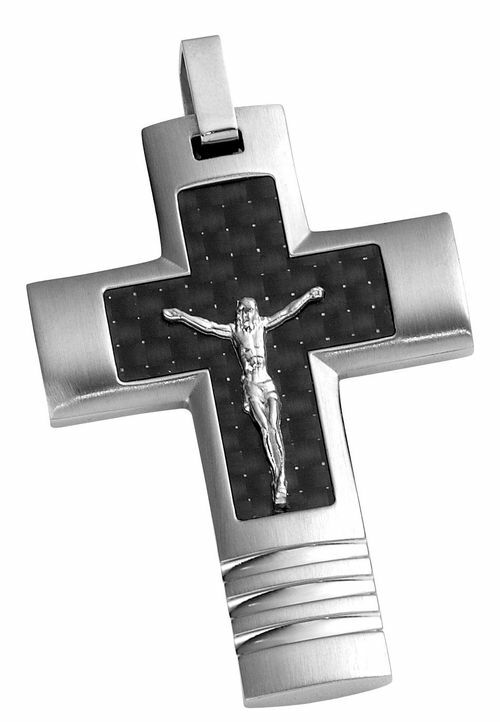 In that way he or she can obtain a cross with a halo over the top. That halo can bear the name or message that is supposed to personalize that particular gift item.